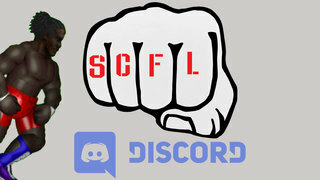 SCFL is known for five things: Tournaments, unnecessary violence, being a little too long, and sadness. What is probably the second-most important show of the year (after Mr. Bianchi’s Holiday Bash), March Sadness embodies all of these predominant tenants. 32 human beings. 1 night. 5 wins. 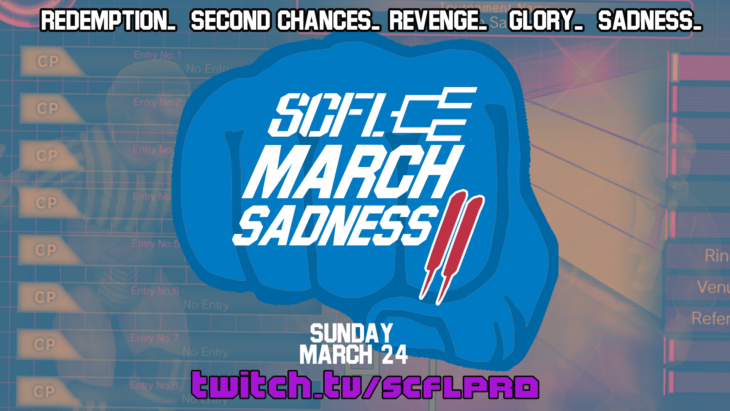 1 U.S. title shot to the winner next week. 1 world title shot to the referee if he can make it through all 30 matches. This marathon show is known to make stars and set the path for the year to come. One year ago, it was Miles Manhoef and Karate Hendrix in the finals. Now, they’re both household names. At least Miles is. Karate doesn’t seem to appreciate his lack of legacy. Who will be the next star? Who will win the most grueling tournament known to Iowa? Who will challenge Technology Cooper next week for his U.S. title, and will Discussion Davis survive to get a title shot? Wait, is Xylop in China?